Should You Consider Growth Through Acquisition? Home > Blog > Strategy & Planning > Growth Strategy > Should You Consider Growth Through Acquisition? There are two primary ways that CEOs and CFOs can grow their businesses. One is by increasing sales, a strategy that is often referred to as internal or “organic” growth. The other is by buying or acquiring another business. One way to think of these two growth strategies is as “the turtle vs. the hare.” Organic growth is usually slow and steady, achieved over a number of years through the disciplined sales, marketing and customer service efforts of your team. Conversely, a merger or acquisition may enable you to achieve explosive growth literally overnight. There are pros and cons to each type of growth. In this article, we’ll take a close look at the potential advantages of merging with or acquiring another company, as well as a few potential drawbacks. The biggest benefit of a merger or acquisition is the speed at which it enables you to achieve growth. If your company achieves $5 million in sales per year, for example, and you acquire another business with $5 million in annual sales, you’ve just doubled the size of your company, at least from a revenue perspective. An acquisition may also enable you to enter new markets quickly and efficiently—both geographic markets and new customer segments. For example, if you currently do business only in your home state, you could expand your geographic footprint into adjacent states (or even into different regions of the country) by acquiring another business outside your geographic area. Or, if you only market your products and services to a narrow segment of customers, you might be able to attract new segments via what’s known as a horizontal acquisition, or the acquisition of another business that’s similar to yours—including competitors. In contrast, a vertical acquisition is an acquisition of another company somewhere along the supply chain. For a manufacturer, for example, this might mean acquiring a supplier in order to reduce costs and shore up the supply of critical raw materials. Of course, the rapid growth and expansion opportunities presented by a merger or acquisition come with a price, and buying or merging with another company can be an expensive proposition. Small and mid-sized businesses often don’t have enough liquid cash on-hand to complete an acquisition in cash, in which case the acquisition will have to be financed or paid for (at least partially) in stock. This could result in a loss of some control over the business. In considering the potential cost of an acquisition, CEOs and CFOs should perform a detailed financial analysis that compares the cost of the acquisition and anticipated ROI with what it would cost to achieve similar growth organically. Organic costs would include sales and marketing, human resources, R&D and product development costs, as well as the amount of time it would take to achieve this growth internally compared to achieving it via an acquisition. Another big benefit of a merger or acquisition is the opportunity to realize synergies between the merged companies. In other words, are there areas where the combined enterprise will benefit in ways that neither company could have benefitted on its own? Increased efficiency, lower overhead, greater scale and shared resources are a few examples of these types of synergies. For example, suppose ABC Company has a relatively loose, carefree culture, with a business-casual dress code, flexible policies and procedures, and an informal chain of command. The CEO and CFO are considering merging with XYZ Company, and in their due diligence, they have determined that the numbers all add up and there are valuable synergies that could be realized from a merger. However, XYZ Company has a very formal and buttoned-down culture, with strict policies and procedures, a suit-and-tie dress code and a rigid chain of command. The owners of both companies should think very carefully before proceeding with the merger, regardless of how it looks on paper. There’s no question that a merger or acquisition may offer Los Angeles and Southern California CEOs and CFOs an opportunity to grow their companies very rapidly. And with the valuations of many businesses currently down due to the economic downturn, this could be a great time to explore this growth strategy. However, there are some potential landmines awaiting unsuspecting CEOs and CFOs who haven’t done their homework, so thorough preparation is critical. 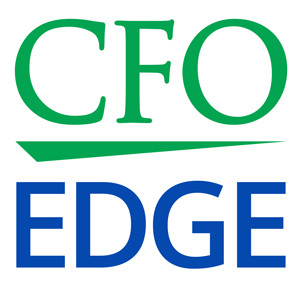 Executives may wish to talk with a provider of outsourced CFO services. Professionals of this nature have deep expertise in acquisition strategies and implementations, experience they have gained as formerly-seated chief financial officers overseeing many successful acquisitions.